You Call That a Recipe? 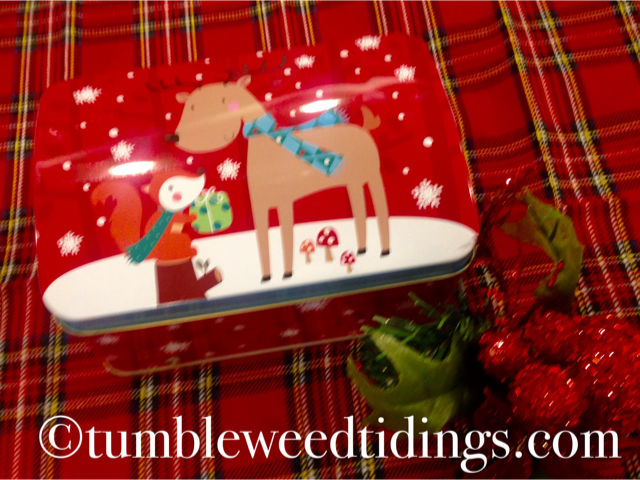 Hello, and welcome to the mad dash to Christmas at Tumbleweed Tidings! 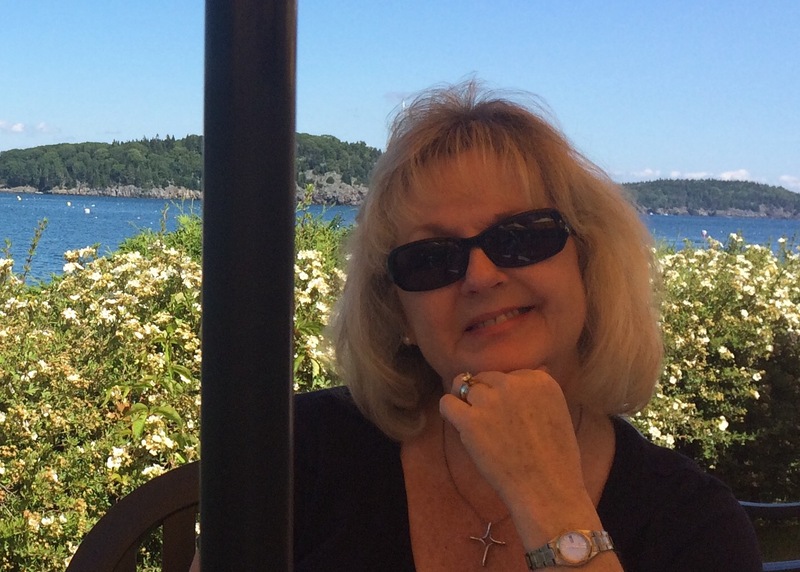 If you are like me, there just aren’t enough hours in the day this time of year. Between shopping, wrapping, baking, holiday parties, and decorating, it can all be a bit much. We want to do it all, and if we do, we end up exhausted. I’m here to help you. Today I have three simple, easy, any-8-year-old-can-make-them, sweet treats that you can use for entertaining or last minute gift giving. You know, to fill up all of those Christmas tins that are breeding in your cupboards! Well, I like things that are easy, delicious and unusual. Caramel pretzel bites fill the bill. When you show up with a tin of these little gems, your friends will be in awe. They will wonder when you got so clever. They will want to ask what is in them, but assume it’s an old family recipe and don’t want to make you divulge a secret that will leave you out of the will. Yes, they are that good. 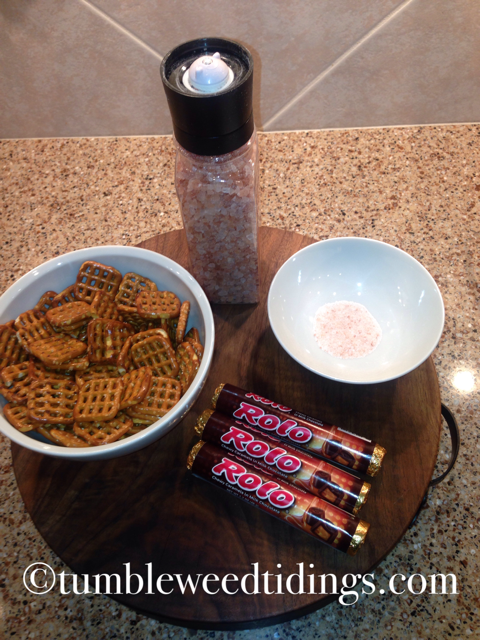 First, the three ingredients: Pretzels, the square little ones, Rolo candies, and Pink Himalayan salt, which is optional. That’s it. 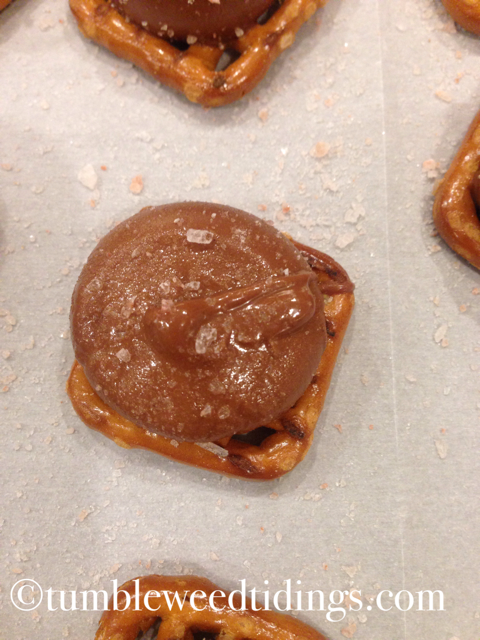 First, put the pretzels on a baking sheet lined with parchment paper. Then comes the tricky part. 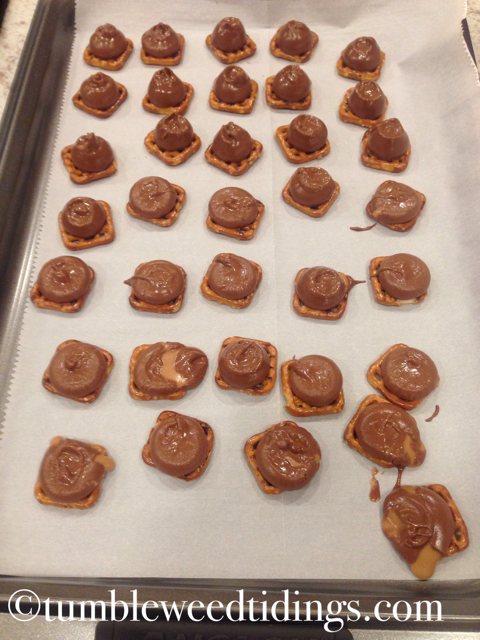 Place one Rolo in the center of each pretzel, narrow side up. Bake at 325⁰ F for 4-5 minutes. They will turn shiny. DO NOT LEAVE THEM IN THE OVEN TOO LONG! When the time is up, remove and let cool for a couple of minutes. Then take the back of a teaspoon and gently press the chocolate down. Sprinkle with pink Himalayan salt, if desired, and let cool for at least an hour. The photo above shows part of the pan already depressed with a spoon and some that got too soft. See that one in the lower right corner? He got too soft and isn’t pretty enough to give as a gift or use for entertaining. You will have to eat that one. Sorry. The second recipe is just as easy. Take one package of Milk Chocolate Almond Bark and melt according to package directions. 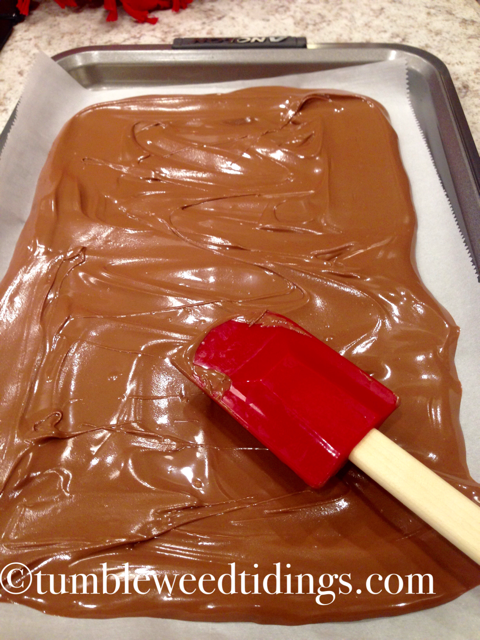 After stirring until smooth, pour onto a cookie sheet lined with parchment paper, spread evenly with a rubber spatula, and embellish as desired. 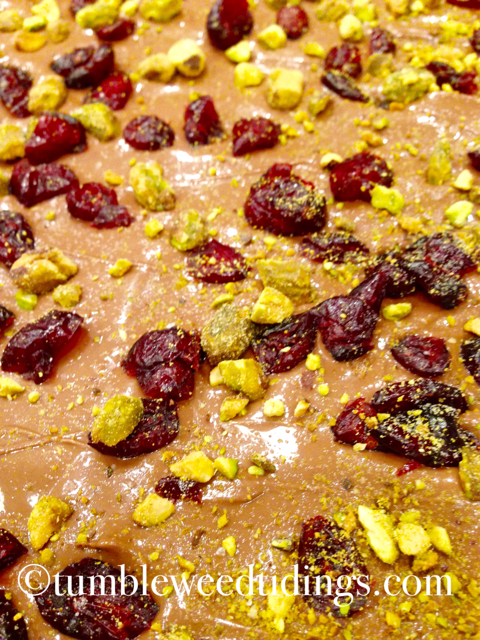 The combination that I have been using for years is chopped pistachios, dried cranberries, and sea salt. It’s a winner, and evokes Christmas colors to some extent. 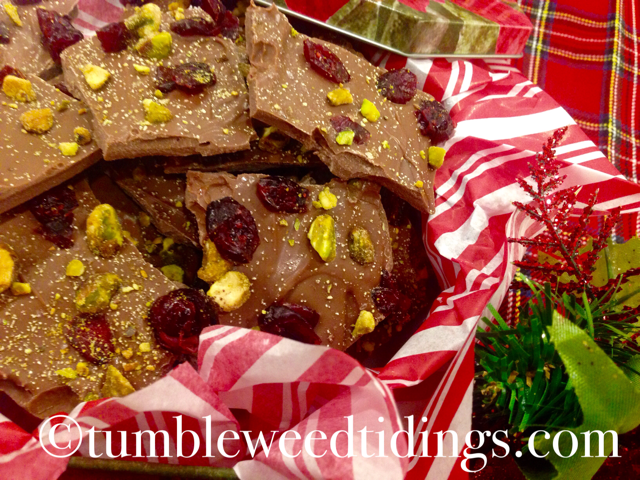 Once cooled, break the bark into pieces and fill up those tins! The third time saving recipe is basically another take on the second. Take a package of White Chocolate Almond Bark and melt according to package directions. 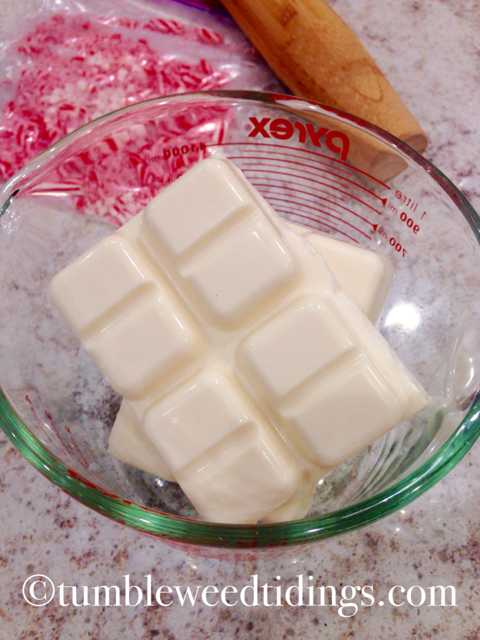 After stirring, pour onto a cookie sheet lined with parchment paper, smooth out with a spatula, and embellish as desired. 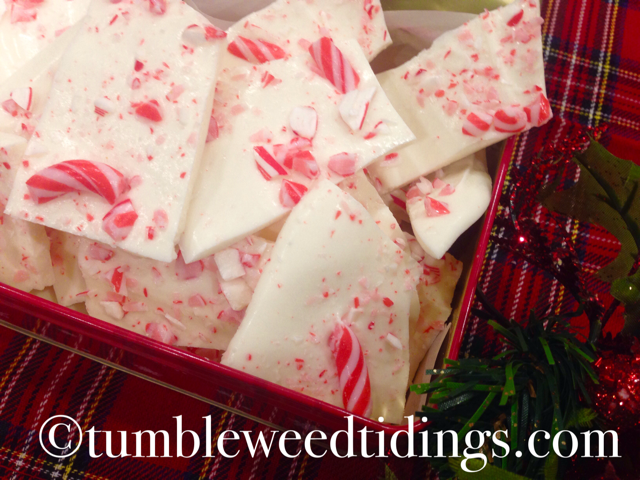 For this version, I have been using crushed up candy canes and it is wonderful this time of year. 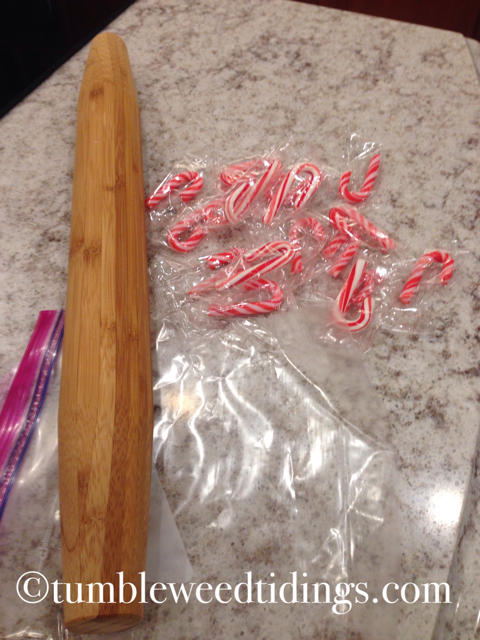 Crushing the peppermint candies in a baggy is a great job to give your little helpers, or an amazing way to let your frustrations out. Whack for the car that cut you off in the Target parking lot! Bam for the bad grade you got in chemistry! I could go on and on, (believe me), but you get the idea. 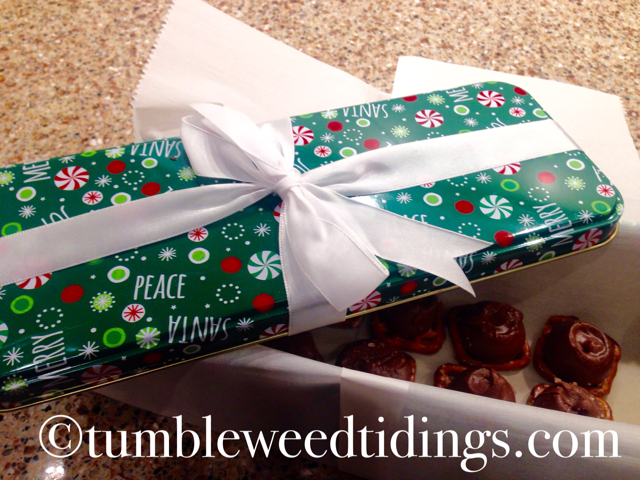 These easy chocolate treats make the perfect gift for teachers, hairdresser, neighbors, or your friend Debbie, the church secretary. They also work well for entertaining. They can, as a last resort, be eaten by you alone. I hope having these quick holiday recipes in your arsenal will help get you sail through the last week until Christmas like the super star that you are. Candy is my downfall at Christmas. I’ll be trying these soon.